When it comes to unique multi-purpose pieces of furniture, Pacific Home Furniture knows that there is nothing more versatile than stools, ottomans and poufs. They all come in a variety of styles, shapes and colors. Lightweight and easy to move around a room, all three are the perfect extra seating needed when you have more guest than chairs or sofa space. You can create a cozy reading area in any bedroom with a stool or pouf. Depending on the height and style, many can be used as a casual or elegant addition to a dining room setting. 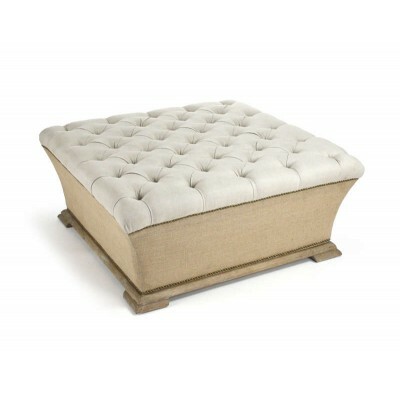 And don't forget that the ottoman commonly known as the footstool is the easiest way to relax by putting your feet up. When not being used as seating, they perform well as an end or coffee table. We offer large tufted upholstered ottomans that will hold serving trays to become a quaint dining area for a casual brunch. Taller stools and ottomans can hold a lamp or your favorite décor and double as an end table. Also removable tops are a practical solution for you storage needs. Whether you choose a timeless nail-head design in neutral, a casual natural rattan weave, or a bold color and pattern, we know that you have chosen a beautiful and functional addition to any room.